On June 7, 2016, Tine De Moor and Anita Boele on behalf of Strategic Research Theme 'Institutions for Open Societies of Utrecht University in collaboration with Daniëlle Harkes and Yvonne Witter on behalf of the Aedes-Actiz Knowledge Centre on Living and Care organized the sixth Think Tank Session about ageing populations and the development of new institutions in living, care and welfare around the theme ‘Together or better alone (II)? Cooperation between care cooperatives and other organizations’. The meeting was a follow-up of the Think Tank organized last year. The central question was how cooperation between care cooperatives (small-scale citizen collectives founded to organize all kind of services related to living, welfare and health care) and other organizations (such as municipalities, care organizations and insurance companies) could be improved. Jan Snijders (Austerlitz Zorgt) gave a presentation about the experiences of the care cooperative Austerlitz Zorgt emphasizing the importance of grassroots support in the enhancement of one’s negotiating position and necessity to take the lead instead of sitting back waiting for the initiative of other parties. Don van Sambeek told about the long and rocky road the Koepel Zorgcoöperations Zuid-Nederland had to go to manage a contract with an insurance company illustrating the fundamental tension between the rules of the system and the philosophy of custom made care. In between, Henk Nies (VU/Vilans) presented a more general overview about how the cooperation in the field of care and proposed a model to describe and discuss these processes based on the motivations of the several actors. The remainder of the meeting was reserved for discussion in which the participants (representatives from knowledge institutions, municipalities, care cooperatives) talked about the success and failing factors in the cooperation between cooperatives and other organizations and searched for possible solutions. Representatives of the citizens' initiative Lunetten wil wel hosted over 80 participants who participated in the meeting 'Het verhaal, de feiten en positie van bewonersinitiatieven in wonen, welzijn en zorg' ['The stories, the facts, and the position of citizens' initiatives in housing, welfare, and care'], which was held on 17 November 2015 in Utrecht as a joint initiative of the Stichting Omzien, the Research Group 'Institutions for Collective Action' at Utrecht University, and the Aedes-Actiz Knowledge Centre on housing and care. 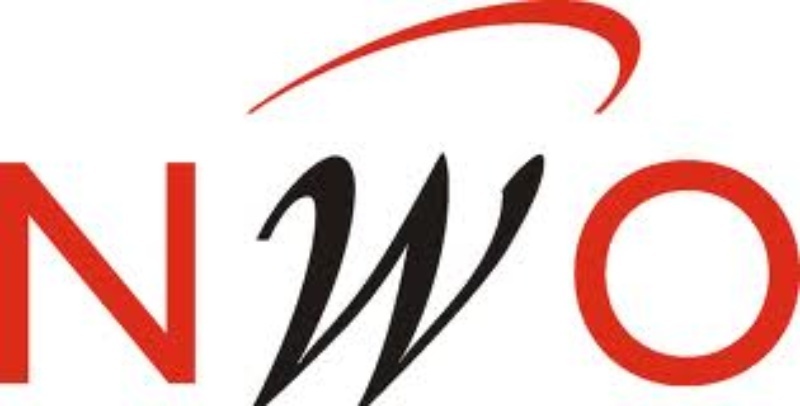 The citizens' initiative Lunetten wil wel is one of the initiatives supported by the Stichting Omzien. 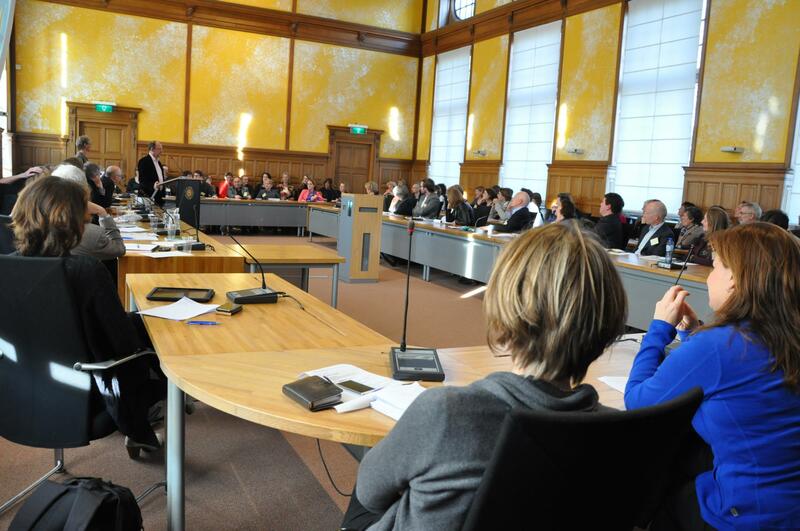 The specific purpose of this meeting was to discuss the results of a three-year period of support by the Stichting Omzien of citizens' initiatives, as well as to explore and determine the furture research agenda. Jurgen van der Heijden of the Stichting Omzien showed in his presentation that the number of citizens’ initiatives in and around Utrecht has significantly increased over the past three years. Most initiatives have become robust and stable, some of them are still a bit instable, but all do focus on the connection between demand and supply. Citizens’ initiatives are increasingly focusing on their ‘right to challenge’ by demonstrating to the authorities that some services are provided in a better way through citizens’ initiatives. To support such initiatives, the Stichting Omzien wants to ‘fill the blinds spots’ by providing knowledge, focusing on growth and sustainability of the initiatives, and to initiate dialogues on the local economy. The Stichting Omzien will also aim at expanding target groups, such as informal care takers, migrants, and vulnerable groups within our society. After a brief general discussion, there were separate discussion panels on specific issues, such as 'The future of cooperation between care and housing cooperatives' and 'Sustainable housing for the elderly'. 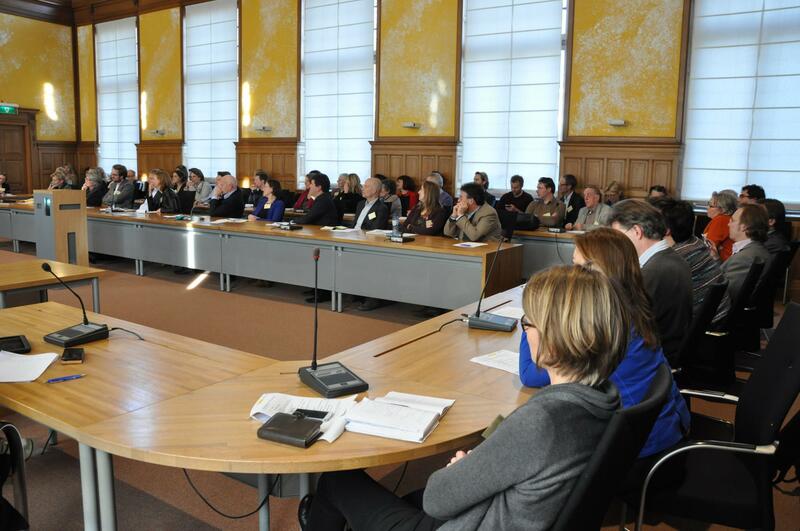 On June 10, 2015, Tine De Moor and Anita Boele on behalf of the Strategic Research Theme 'Institutions' of Utrecht University in collaboration with Daniëlle Harkes on behalf of the Aedes-Actiz Knowledge Centre organized the Fourth Think Tank session about ageing populations and the development of new institutions in living, care and welfare. Central question of the meeting was how professional care organizations could be a valuable partner for the several care cooperatives (small-scale citizen collectives founded to organize all kind of services related to living, welfare and health care). This cooperation is far from self-evident, a consequence of enormous organizational differences, competition, and the fact that several care cooperatives were actually founded as a critique on existing working practices of professional organizations. 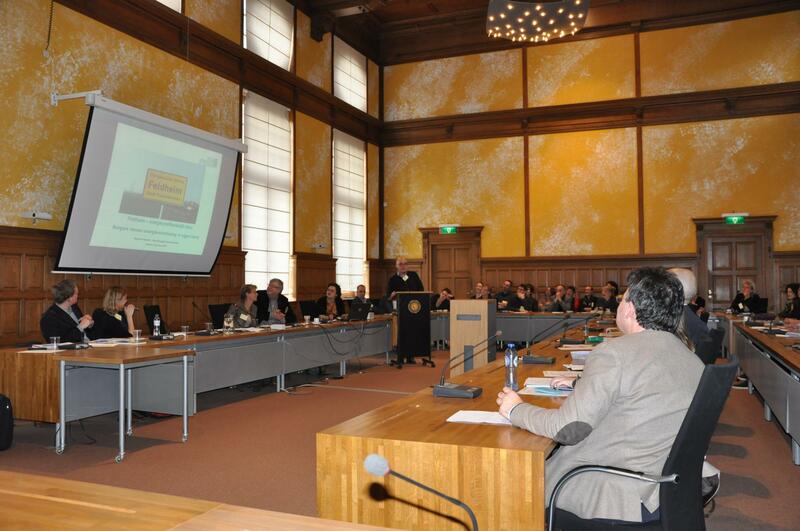 A summary (PDF; in Dutch) of this meeting can be downloaded here. Friday October 10, 2014, the Knowledge centre Institutions of the Open Society at Utrecht University in collaboration with the Aedes-Actiz Knowledge Centre organized the Third Think Tank session about ageing populations and the development of new institutions in living, care and welfare. Main issue of the meeting was the search for new possibilities of collective action among the elderly today to cope with the challenges posed by population ageing and the demand of long-term care. The program included a lecture by David Reher (Universidad Complutense de Madrid) who highlighted the topic from a long-term European perspective and discussed the different Northwestern and Southern European institutional solutions to ageing. George de Kam (University of Groningen) lectured on recent developments in the Netherlands and the effectiveness of the new solutions in care and living. These lectures were followed by a panel discussion on the necessity of institutional renewals to deal with an ageing population today, led by four panel speakers. The second Think Tank Session focused on issues and dilemmas present-day citizens' collectivities and initiatives have to face. Scientists, field experts, and participating citizens discussed how to deal with these problems. Citizen's initiatives in housing, well-being, and care seem to fit perfectly in the so-called 'participating society', promoted by the Dutch government. But what risks are at stake? How do you provide, guarantee, and monitor the quality in citizens' collectivities in care and who are responsible for maintaining the proper quality of such care? How are citizen's initiatives organized, to what extent are their activities transparent? Who monitors these initiatives? The meeting consisted of several lectures, comments by experts, and a plenary discussion and was followed by the presentation of the book Ik is niks , a study by Ton Baetens on the small village of Elsendorp, where citizens manage the village almost entirely by themselves. 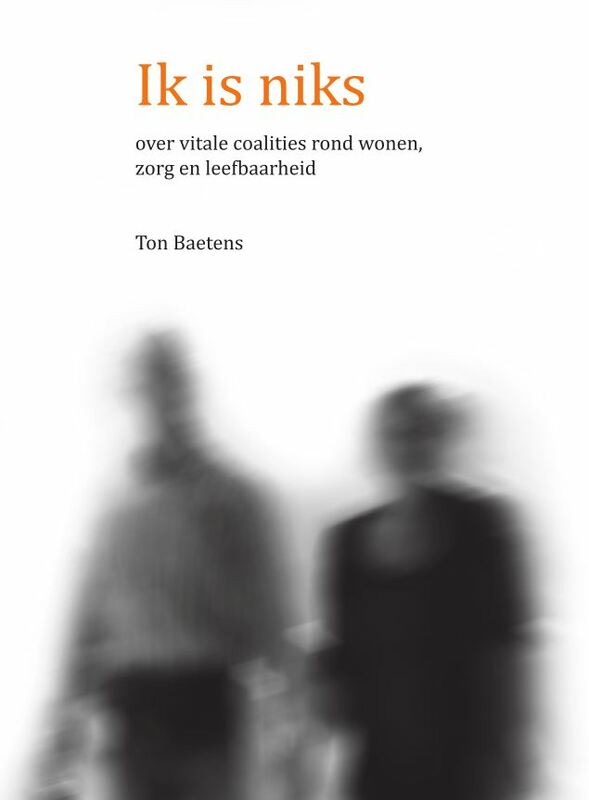 Baetens, Ton, 2013. Ik is niks; over vitale coalities in wonen, zorg, en leefbaarheid. Den Haag: samenleving en Publicaties. The first Think Tank Session focused on citizens’ collectivities in care. In order to bring theory, practice and policy implications together, the Aedes-Actiz knowledge centre for living, well-being and care and the Institutions for Collective Action Research-team of Utrecht University addressed this topic in a joint effort. In the past years, we have seen the emergence and development of many new initiatives in care provided by citizens, often in the form of cooperatives (click here for some examples). Since both market and government solutions fail(ed), citizens take on the initiative and realize solutions in care and other public sectors themselves. This ‘do-it-ourselves revolution’ has not remained unnoticed; researchers, professionals and policymakers and are looking for the opportunities and difficulties that these solutions entail. 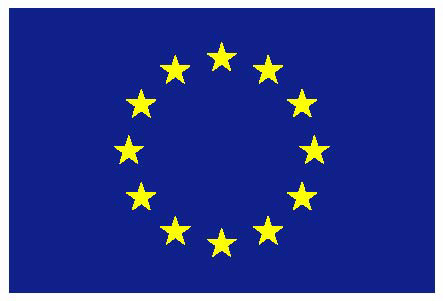 However, many fundamental questions about this new movement of citizens’ collectivities still remain to be answered. Questions such as: Can these collective solutions replace governmental solutions? How should the government position itself towards these initiatives? What type of governance model works best for a citizens’ collective? Can these collectivities provide high quality in care? These and other questions about citizens’ collectivities in care were addressed in this Think Tank Session. The aim of the session was to get to the bottom of the issues at hand and to consider the consequences this would have for the research agenda of scholars who are working on this topic, professionals in care , and policy makers. The meeting consisted of three short lectures, followed by several round table sessions.